Oh, so cute. Every baby bottom should have a bloomer. 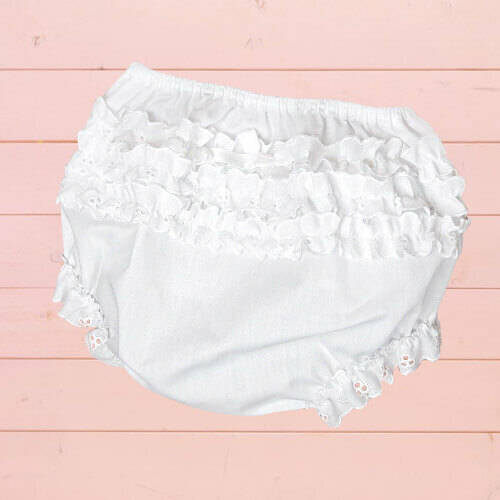 Elastic waist and legs with scores of eyelet ruffled lace to cover the most precious diapered bottoms. 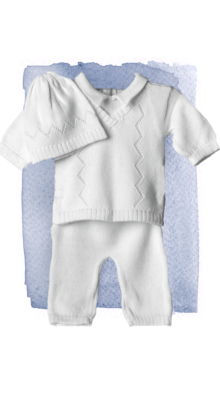 *65% Polyester 35% Cotton *Washer/dryer safe *Small: NB-3mo., Med: 3mo-6mo., Lg: 6mo-9mo. 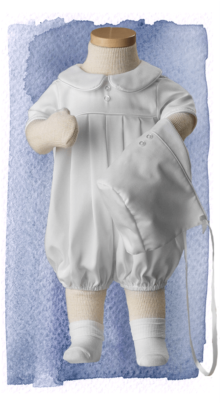 *65% Polyester 35% Cotton *Washer/dryer safe NB: up to 3mo., Small: 3mo-6mo., Med: 6mo-9mo. This is one of the most masculine yet infant looking blessing sets. Mock vest and top make it easy to dress your little one. Pants have soft elastic waist. 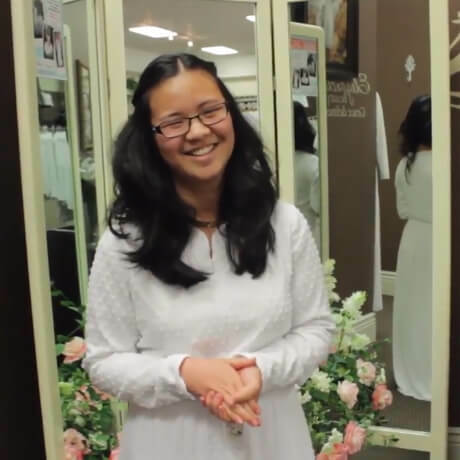 Exquisitely finished details make this an heirloom outfit. 100% Mercerized cotton. Sizes: NB, 3 mo., 6 mo., 9 mo., 12 mo., 18 mo., 24 mo. So cuddly and sweet. 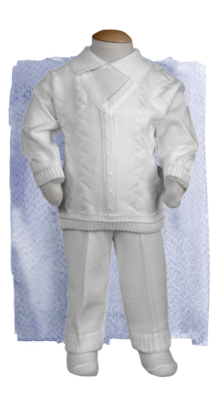 One of White Elegance’s most popular boys LDS Blessing or Christening outfits comes with its own top with a mock vest and handsome pant. Makes you just want to hug’em. 100% Cotton knit. Sizes: NB, 3 mo., 6 mo., 9 mo., 12 mo. 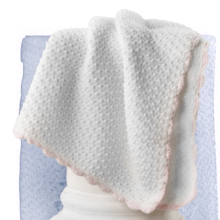 Soft, 100% cotton, crocheted baby blanket with pink or blue trim. A handsome LDS Blessing outfit or Christening day suit. Polyrayon gabardine bubble with collar, pleats, short sleeves and elastic around the legs. Cute as a button. Hat NOT included. Sizes: NB, 3 mo.